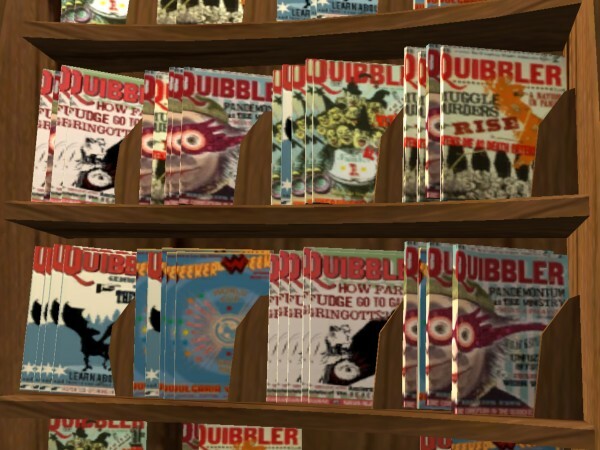 The Quibbler rack is a recolour of the Maxis magazine rack. The countertop Weasley is a recolour of the Maxis countertop game rack. 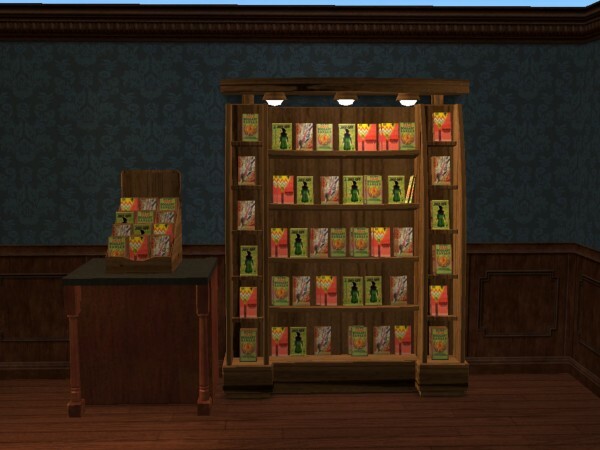 However, the floor standing Weasley rack is a full clone of the maxis rack, as it is the only way to recolour the game boxes. 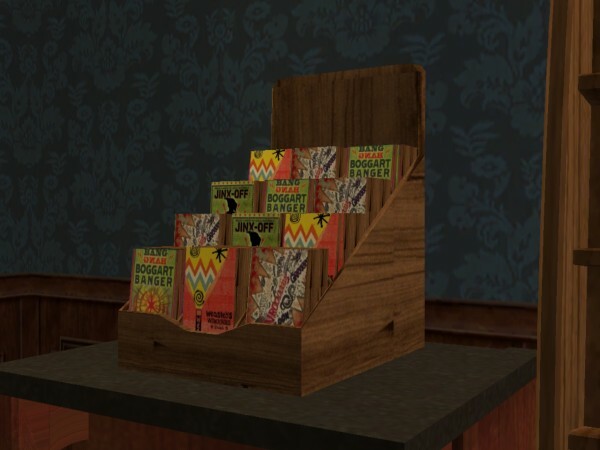 These racks still sell normal maxis magazines and games. they are found under misc. -> misc. 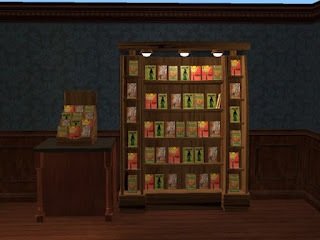 on community lots. These are great! thank you,. Another Great Thing for My potterhood Thank you for sharing!